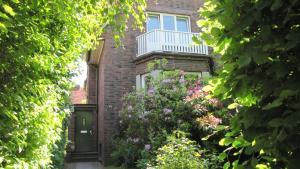 This accommodation is located in Hamburg's Alsterdorf district. Free Wi-Fi access is available, and Alsterdorf Underground Station is only 50 metres away. All rooms and apartments have a TV. The apartment has a private bathroom, and the room has a shared bathroom. Privatzimmer Hamburg Alsterdorf has its own garden for relaxing in fine weather. For a small fee, guests can rent bicycles on site. If you feel like visiting the surroundings, check out the Reeperbahn (7 km) and Hamburg Central Station (6 km). Privatzimmer Hamburg Alsterdorf is 3 km from Hamburg Airport. The property offers free parking.